Our friends at 99 Balloons have developed a unique ministry that provides ways for others to engage children with special needs locally and globally. Their “rEcess” ministry is a monthly respite program provided for children with special-needs. These events are typically hosted by churches longing to serve families within their own community. 99 Balloons has now launched “rEcess” in churches in eight different states and Canada. 99 Balloons also casts a larger global vision to personally engage individuals with disability around the world. They recently co-sponsored Engage Disability India, a nationwide conference to strengthen the Christian response to disability in India. They have sponsored mission trips to Haiti, but the ministry seems to have a special call to ministry in Uganda. 99 Balloons has forged a partnership with Ekisa Ministries around a “rEcess Uganda” global project. Ekisa offers a community care program to help support and encourage families affected by disability in Uganda serving approximately 50 families. The two organizations have worked together to develop an overnight respite program for families served by Ekisa. Culturally, these families have a lot going against them – they are often shamed, isolated and marginalized by their community because of their child having a disability. But Ekisa’s community care program has provided tremendous support, resources and encouragement for these families, and this new respite opportunity will be a huge blessing for these families. This past Spring, I had the opportunity to attend a private screening of Notable, a documentary produced by 99 Balloons on disability in Uganda. 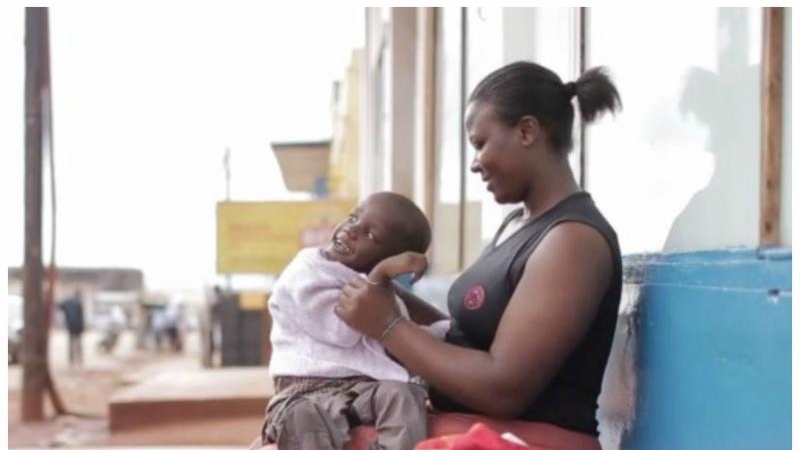 The film highlights three stories of individuals with disability living in a culture where families are often shamed, isolated and marginalized by their community because of their child having a disability. It’s easy for us in the disability ministry community to assume that attitudes and challenges we experience in the U.S. are universal, while in reality, the challenges faced by families impacted by disability in other cultures may be far greater…and present greater opportunities to the church than we ever imagined! After experiencing the film, I knew I wanted to share the experience with the churches and constituents we serve through Key Ministry. On Wednesday, October 29th, you’ll have the opportunity to view the film as well. We’ll be featuring Notable from 7:00 AM-midnight Eastern time on Wednesday the 29th. 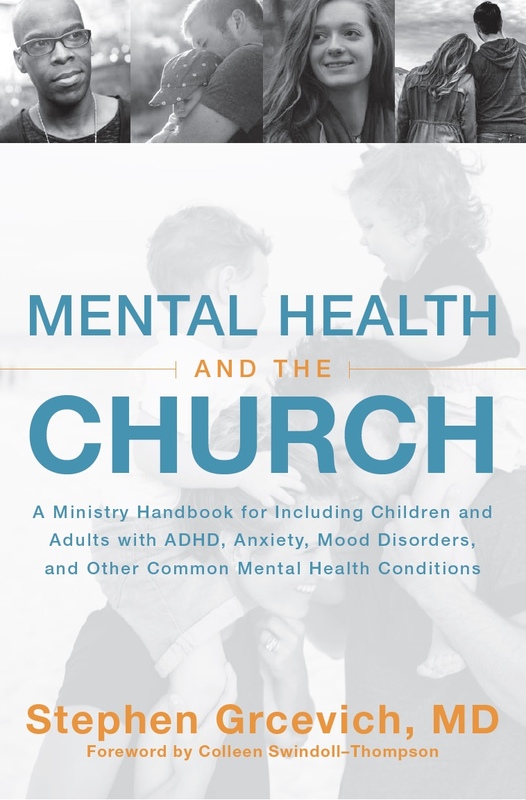 The film is approximately 30 minutes long and will be available all day for viewing at keyministry.tv, on the hour and the half-hour all day long. In addition, viewers will have the opportunity to “chat” about the film with Matt Mooney, the visionary founder of 99 Balloons during the 12:00 PM and 12:30 PM screenings, while Brian Hill (one of the filmmakers) will be available during the 6:00 PM and 6:30 PM screenings. No reservation is required to join us during the day, but you will need to respond to the prompt to login with your Facebook account to join in the interactive chat. Hope to connect with you at Key TV this Wednesday! 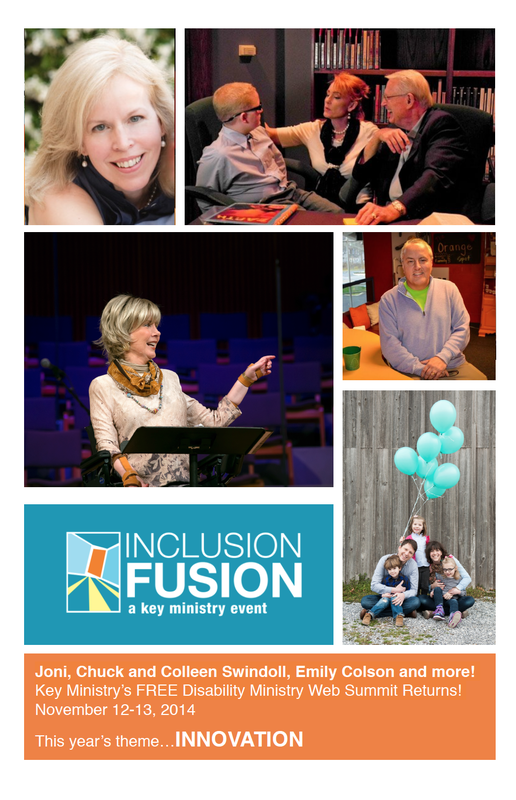 Join Jolene, keynote speaker Joni Earackson Tada, Chuck Swindoll, Emily Colson and 20+ leaders representing the scope of the disability ministry movement this coming November 12-13 for Inclusion Fusion 2014, Key Ministry’s FREE, worldwide disability ministry web summit. Engage in interactive chat with many of our speakers and watch each presentation at the time of day that works best for you in the environment in which you’re most comfortable. Click here to check out our speaker lineup and register for no charge. 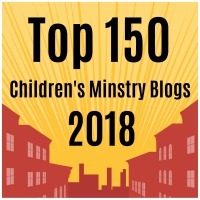 This entry was posted in Advocacy, Key Ministry, Stories and tagged 99 Balloons, Brian Hill, church-based respite care, Disability, documentary, Key Ministry, key ministry.tv, Matt Mooney, Notable, rEcess, Uganda. Bookmark the permalink.